There were conjectures that Maruti Suzuki Alto 800 introduction might get postponed owing to the recent troubles confronted by the auto giant at its largest plant, Manesar, which was shut out for more than a month. However, close sources have stated that the launch would happen on its planned time that entails during the festival period. 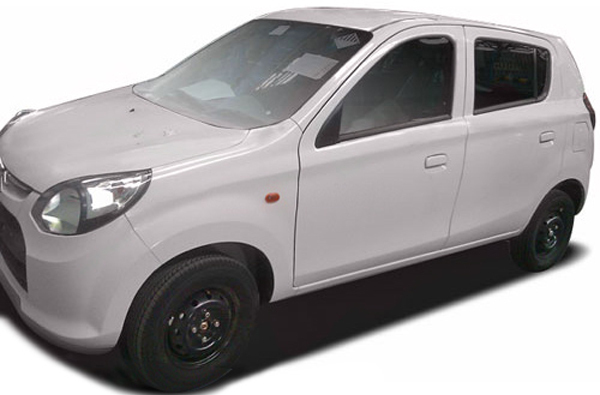 The sources also stated that the bran new Alto 800 will put back the subsisting Alto, but Alto K10 will be continued. The auto firm is waiting to clear up the previous stock of Altos at the present time. So if you can keep a little patience, you can purchase the innovative Alto 800 in place of the subsisting one. As announced previously, the Alto 800 would be valued more than Rs 2 lakh and not as everybody anticipated it to be Rs 2 lakh to challenge the Nano. Not just the cost but there are a lot of other reasons like enhanced looks, availability of CNG option, largeness, enhanced interiors and some more to back up the company’s claims of turning it the next ‘People’s Car’ of the country. The CNG option is expected to cost 30,000 more than the normal versions.